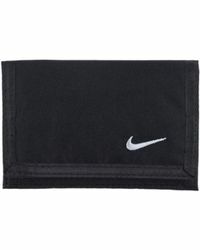 The world-leading sportswear empire Nike has been at the forefront of the sports industry for more than 50 years. 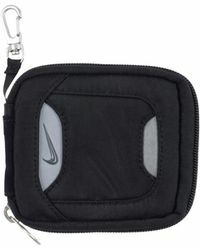 Internationally famed for its blend of high-performance materials and forward-thinking aesthetics, the brand has reached the wardrobes of sports enthusiasts all-over the world, and today it continues to bring its eye-catching design to a broad range of men's Nike wallets, bags, accessories, apparel and footwear. 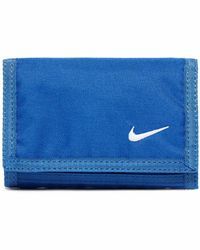 Accessorise all your daily looks with the latest collection of men's Nike wallets, featuring sleek, streamlined designs that are both practical and stylish. 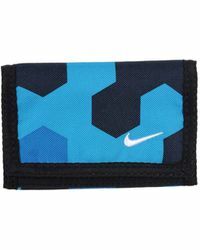 Premium leathers and high-tech nylons are finished in a host of acid-bright colours, lending a sporty feel to every outfit. 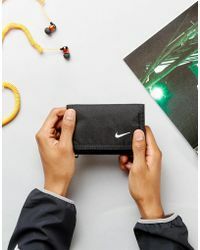 Showing 15 results for "Men's Nike Wallets"